When we last left "Fringe" (about two months ago), Olivia rediscovered her ability to tell which objects came from the parallel world... complicating things quite a bit for Walter when she took a good look at Peter. Well, Walter certainly had some explaining to do, which sent us back to where all the trouble began, 25 years ago. A much younger, saner Walter was showing off his latest invention to some government officials: a mirror/monitor that served as a window to the other world, where dirigibles docked at the Empire State Building. And, cue "Fringe" '80s opening credits. It was at this moment that my jaw hit the floor. Is it possible to get an Emmy for Best Intro to an Episode? Even if such a thing doesn't exist (for shame! ), John Noble delivered an Emmy-worthy performance here as Walter watched in horror as the cure which would have healed his dead son in the other world slipped through his (or rather, the parallel Walter's) fingers. It turns out that one of the Observers made a little mistake, one which he had to confess to two other Observers walking out of a screening of "Back to the Future," seeming awfully confused. Since Peter is "important," he had to do whatever he could to correct his accidental interference in the course of history. As Walter set out to do some correcting of his own by making a trip into the other world, we find out what happened to Nina's hand as it was caught between worlds while she tried to stop him. Returning back after convincing Peter to go with him, Walter and his son fell through some ice, only to be rescued by the Observer. So, will Olivia tell Peter the truth now that she knows? What is Nina's objective now, seeing how she was against Walter's decision in 1985? And how did William Bell ultimately end up in the other world? As long as we continue to occasionally get answers by the truckload the way we did this week, with performances as great as Noble's, I'll tune in to find out. What did you think? Did that episode reinvigorate your interest in this show as well? Let us know on video, or in the comments below. Will Astrid please marry me? Anna Torv make watching tv a priority again. Best show on TV right now. I'm addicted too! Thanks Fox for renewing Fringe for season 3!!! My reason for being tired on Fridays: I am addicted to Fringe! Love Fringe, Keep up the good work! I'm a very fan of Fringe also. But if you want to keep this show on TV, you should buy the DVD on amazon. I'm already have the first season, and maybe the second season I'll bought on BlueRay because i'm upgrading my DVD player now. Fringe is one of the bests shows on TV (just with Lost or FlashForward). These shows are smart enough, with a good storytelling. I believe if the ratings aren't helping this series, we should bought on DVD or BlueRay so they wouldn't cancell it. I was so glad to see this new episode! I knew this history of Peter since the episode when we found out about parallel universes and I was glad to see it unfold. I also want to point out that the Observers we watching "Back to the Future" from the alternate Universe because Eric Stoltz was on the marquee. Its a lesser known fact the the film was originally shot with Eric Stoltz as Marty Mcfly! They shot 1/3 of the movie before they recast it with Michael J. Fox, in that universe that never happened! Awesome episode! This is one of the most original shows on TV and this is an especially good touch. Bravo, Walter!! John Noble really earned his Emmy in this episode. If you didn't feel what Walter was feeling, you're not human. The 80's opening credits really threw me back to the feeling of the 1980's when CGI and music synthesizers were in their infancy. For a second I actually thought I time traveled back to the 80's or was in a parallel universe. I was moved by John Noble's portrayal of the grieving Walter, and hope his work will receive it proper recognition. So, so, so glad the show has been green-lighted for a third season. John Noble is simply the most powerful and elouquent actor in a television series, and should win an emmy for this awesome performance. Great writing too,..all supporting actors did a great job as well. John Noble is what every actor should be,..he is,..the character,..in whatever role he plays,..John Noble the actor is lost,..we see the character,..Bravo Mr. Noble. Bravo. I am a Fox Network Fan. Their shows (not all) for some reason are better directed, thought provoking and just escapism. Was hooked on House, migrated to 24 (still am) and because i was a huge X-Files fan and SciFi channel couldn't fill the void when it was cancelled, i was left waiting for something like Fringe. It just has all the ingredients and once again I fall into the cozy world of the unknown. I guess it is a hangover from my Twilight and Outer Limits days as a kid. The show reminds of the x-files which i was a big fan of.... 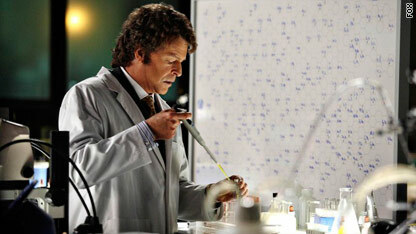 Fringe is a great sci fi show last nites episode was awesome some questions answered about peter. i was a lil weirded out with the intro at first but i guess itll get some used to. BIG FAN! Glad for the ethusiasm for Fringe. While Fringe has more than a passing resemblance to X Files, it improves on it by keeping the show within the realm of the known and possible. Last night's episode was a tour de force for John Nobel (though lots of credit to make-up and special effects to remove for the most part the evidence of aging for John and Blair). I just hope that they're not speeding through the story too fast, I'd love for this show to last a long time. I agree, great show! I got so tired of triing to keep up with all the back episodes/ flashbacks/ alternate timelines of lost. I don't even care to watch anymore! It still dvr's, just incase I'm really bored, but Fringe is Must See TV! Great show last night, thought they did a good job on Walter's wrinkles. What a great series on so many levels. The acting is superb, the writing is mind bending and the characters are intriguing. Fringe really is the best show on TV....when they took off X-files, it made me sad.....now that Fringe is on.......I must say much better than X-files.....only show on TV right now that makes me excited to watch, other than Heroes of course! Henry, Sorry for my multiple postings but I just got what you said about the 80"s intro credits..It didn't hit when I was watching them...I just thought they decided to change them (or maybe it was an April Fools joke). But you are so right they were retro 80's for sure. It shows what a total commitment the producers had for that episode. Bravo! Fringe is now my Lost!! BTW...the makeup last night for Walter especially deserves an Emmy as well! Some of the best I've seen. Fringe is delivering the best Science Fiction on television right now. I love the entire cast and yes. John Nobel has one of the the best roles on TV since Jack Bauer came along. It's a joy to watch him act out this wonderful, funny, pained, gentle and brilliant character of Walter. He has been and is deserving of an Emmy for this role and I hope he recieves his due! Lost does not even come close to Fringe. Fringe is one of the best shows on TV today. It is creative, thrilling and imaginitive. I cannot wait for the next episode to come. Lost is a 2010 version of Gilligan's Island. Enougth already! Fringe is awesome!! I just hope it doesn’t go the way of so many Fox shows and loose its cutting edge for more mainstream attention or get slotted in a crappy timeslot. The 80's homage was one of the greatest intros to a specific episode I have seen anywhere. Fringe is good but it pales against LOST. LOST is the best show ever. Thanks again for the coverage, Henry! I had the fortune to be able to catch up with all previous FRINGE Episodes last nite and am eager for tonite's Birthday (mine!) offering this evening! I also will be following this entire season of Fringe with something I'm calling "The Fringe-in-60+!" which will give a quick and humorous episode recap for each one that we get this season starting with tonite's. I'd like to see about getting you on for an interview. Contact me via the http://www.FringeIn60.Com website and I can toss you a sample of what we've done with other CNNers (Dereyck Moore, etc). Thanks again for the knowledge and perspective. It's always appreciated! Fringe is completely on another level when compared to Lost right now. They consistently give us answers and don't take multiple middling episodes to do so. Last night's episode was the best of the season and is the perfect way to use flashbacks to give us the proper details to move the plot forward. Lost seems a bit more "Lost" right now.